Some ultras are about self-discovery. For me that’s what running 100 miles often comes down to in the later miles. 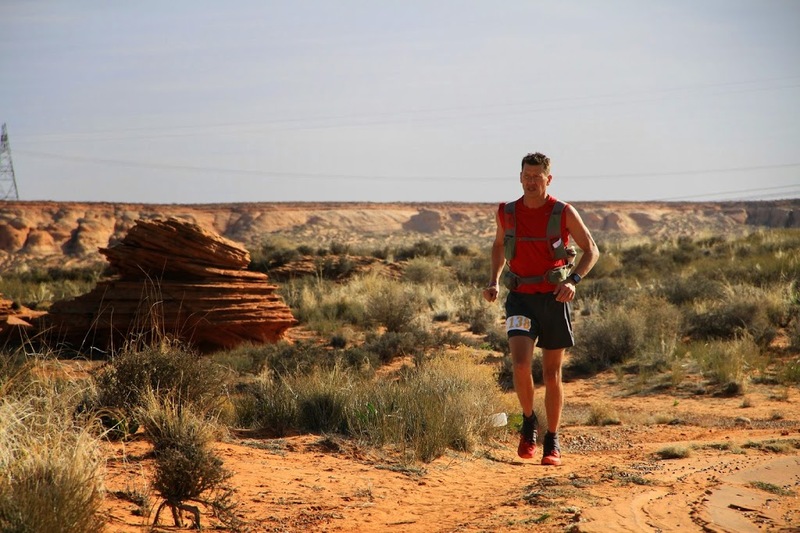 I feel pretty comfortable at the 50 mile distance, however, I don’t generally go through that same process since much of it takes place much later in a longer race. But I also haven’t really run a 50 miler since 2010, so I didn’t know what I was in for (I did attempt one last fall and DNFed at mile 28 due to injury). What I found was that racing at that distance is more about the other people I am with rather than about myself. 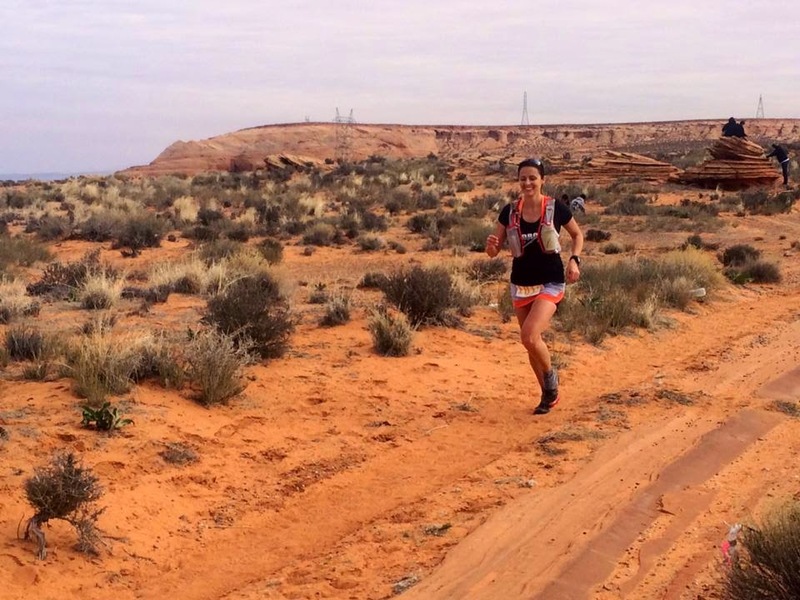 My race at the Antelope Canyon 50 miler can be broken down into 5 main sections, each associated to a specific person or group of people. They are what made my race-day so successful; not my time or overall placement, but the people they were and the experience I had with them. 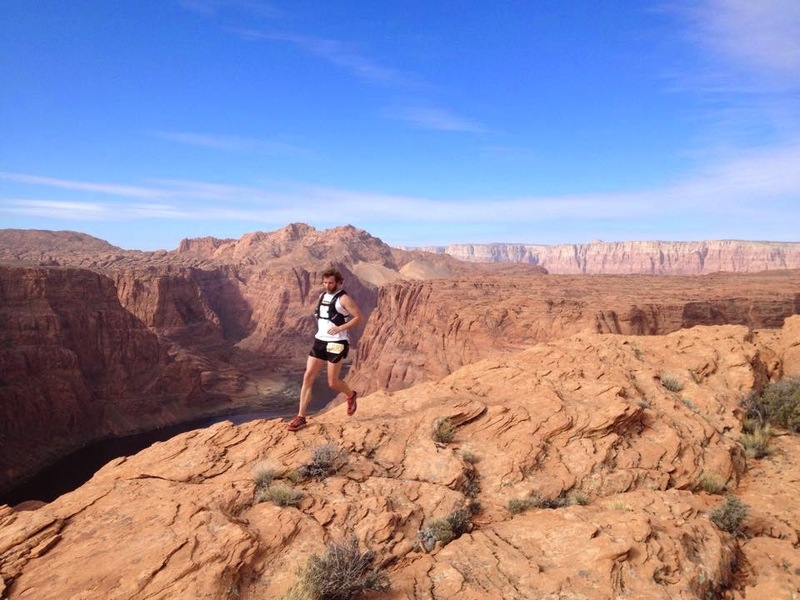 Matt Gunn, race director, and the Ultra-Adventure crew put together a monster race this year. With 30 miles of miserable sand, the course was relentless. But thanks to widely spaced and incredible slot canyons and pristine overlooks, the sand became secondary to the whole experience. I would be remiss if I didn’t thank Matt and his team for putting on such a great event. If you can mentally grasp running through that much sand then this is a race you can’t miss. Our local running group was at the race in full force. We had spent most of Friday together, playing at Horseshoe Bend, eating dinner, drinking Slurpees, and just laughing and enjoying each other’s company. I love this quality time with them, so to have spent the first 5 miles of the race running with Jennilyn, Scott, Steve, and others was a real treat. The hardest part about running with Scott is that he makes me laugh so hard I nearly have to stop running to catch my breath. I had hoped to run with all of them longer, but they stopped at the first aid station to drop headlamps and jackets and I continued on. I didn’t know then that it would be the last time I would see them until the finish. It was because of them, however, that my mood was so high and that emotional foundation carried me through the rest of the race. Matt was kind of tucked in behind me from pretty early on. After Antelope Canyon things spread out a little and we were able to converse more. We ran all the way out to Horseshoe Bend together, chatting about nothing important and just taking in the beauty of the course. 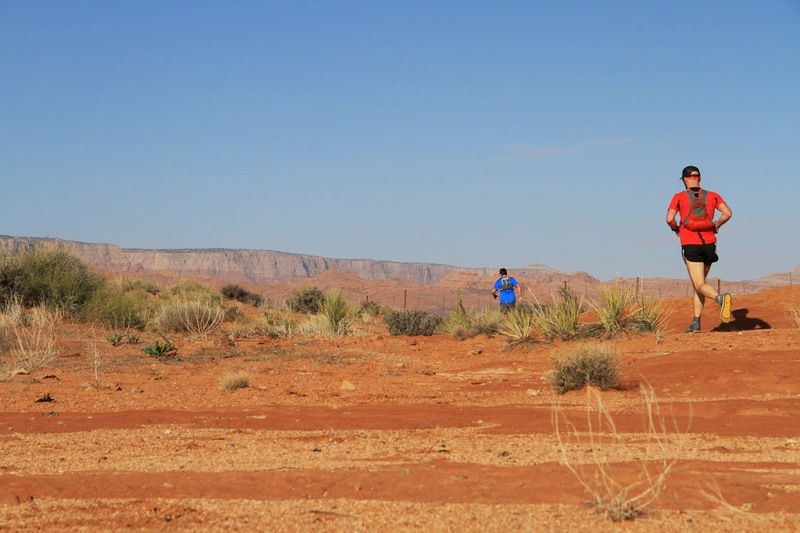 At one point, as we made our way across the rim of the canyon I came across a 50k runner who was struggling to get down a tricky portion of the course. I stopped to grab her hands and help her down a series of small drop-offs. She was so concerned she was messing up my race and slowing me down. I assured her I had no intentions of just leaving her there. The most important aspect of racing is that everyone gets back to the finish successfully. There were times throughout the day when I’d get to a tricky section and think about her and hoping she would be ok as she moved through there. Jesse latched on behind Matt and I at the rim of Horseshoe Bend. He’s speedy and I’m very comfortable on technical slickrock, so it was no surprise that after only a few minutes of running across it he and I were on our own and making our way across the desert to the other canyon. We talked about our running backgrounds, work, and other random things. It was hot, one of the few times the sun was directly on us and his company made the crossing easier, even when we got off course and had to redirect a few times. He fell back just before Waterhole Aid station and I never saw him after that. After exiting Waterhole Canyon there is a steep, sandy climb to the top of the canyon. I could see several 50k racers ahead of me on the climb and one person just finishing it who took off at a good trot. I immediately pegged him as a 50 miler and began to follow him. 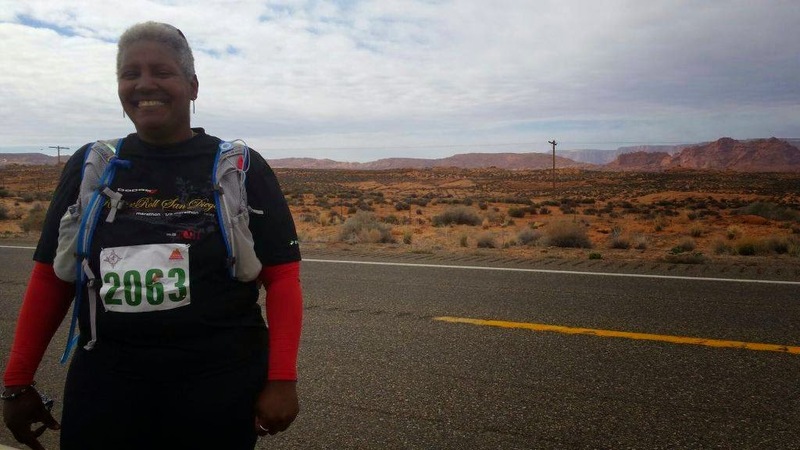 He was maintaining a better running pace than me, but he must have stayed longer at Horseshoe Bend aid station (2nd time) longer than me because I caught him within a quarter mile of leaving. We exchanged pleasantries and then ran together for the next hour and a half. If we weren’t running next to each other I was out front and felt like he was pushing me, which was great. 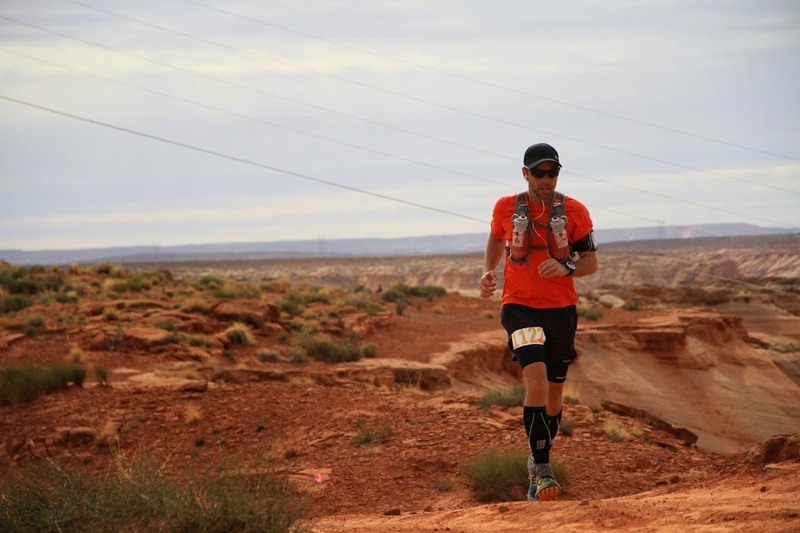 Finally, after a couple of fast miles beyond Page Rim aid station, at mile 38, I had to step aside and get my electrolytes under control as I was really dizzy and he pushed quickly on ahead. 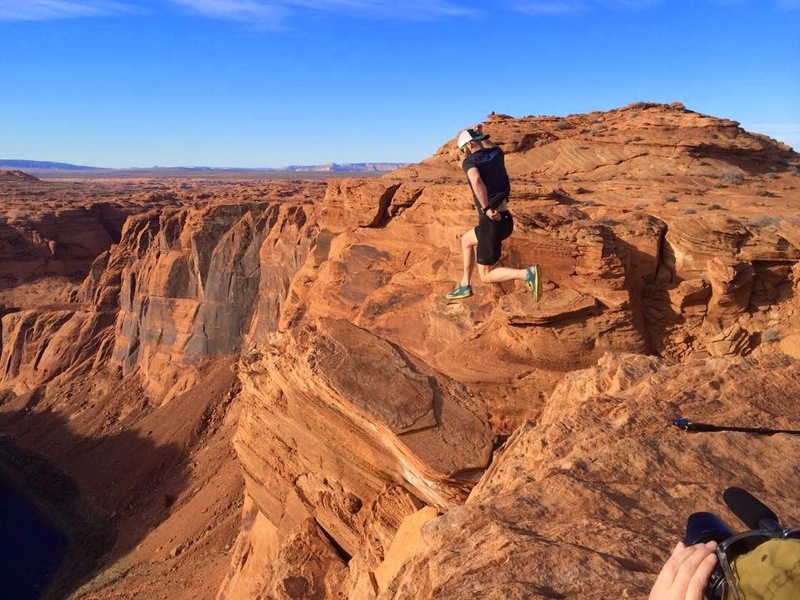 I only saw him one more time as we passed each other on the short out and back to Lake Powell aid. He would go on to finish 10 minutes ahead of me. That’s really impressive. Finishing my race in 8:25 was very satisfying. I had exceeded my own goals and done so feeling very proud of the effort. I came into the finish with none of my closest friends there. They were all out either still running, pacing, or shooting film. I don’t have any ill feelings of finishing alone, it’s something I have gotten used to. And to assume I was alone is incorrect, there was a full finish line of people there, many whom I did know or quickly got to know. I would go on to spend the next several hours watching and filming friends finish, something I value more than my own. Jennilyn was the first of my friends to finish. She ran 9:15, took first female, and set a new course record. I had spent the last 4 miles of my race expecting her to pass me at any minute. It’s amazing how strong she has gotten in the last 8 months. I was really proud to see her finishing so strong. Scott was the next to come across. What I love about any finish Scott has is that he looks like he just got run over by a car. It’s because he gives everything he has in those remaining miles and leaves it all out on the course. I respect that in him in a way I’ve never understood of myself. Steve seems to represent the heart and soul of ultrarunning; always positive and continually supporting others along the way. Even as he crossed the finish line he was all smiles and quick to congratulate others. Finally, Jenna. I’ve been working and coaching her for a few months now in preparation for this race. I went out and saw her at mile 43 to take her a jacket. Watching her cross the finish line was one of the most rewarding moments of my running career. I was and am beyond pleased for her and her performance. There were other Wranglers who also had great races – Kendall, Pete, Davy, Jim, and more. Too many to speak individually of, but all worth recognizing. And while Matt, Ashley and MVH didn’t run the race this weekend, without their help and support it would not have been nearly as good as it turned out. The selflessness to travel down and crew and pace friends is immeasurable. I am so grateful they were there. 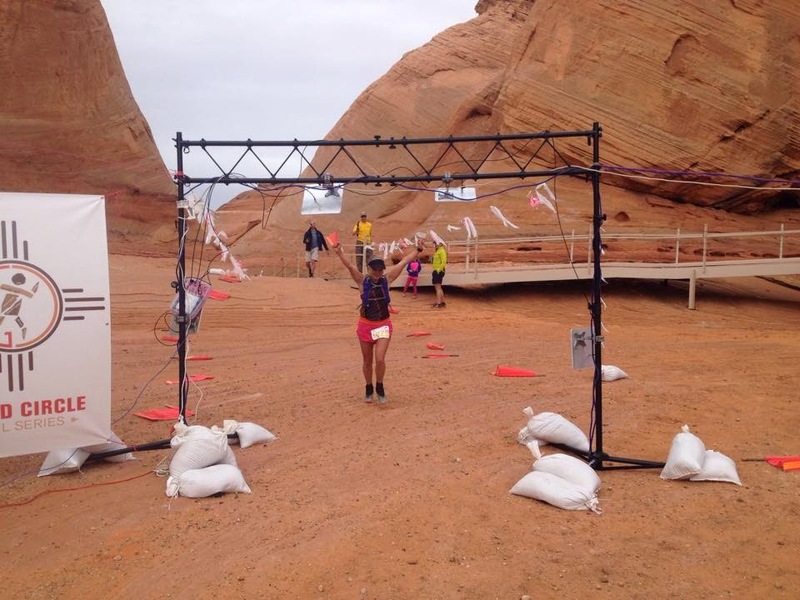 I could have written every detail of my race, most of which would have been some repetitious sentence about the sand. I could have detailed the turns and beauty of the slot canyons or the immensity of the Colorado River gorge. But while the images of those places will remain, it is the influence of the individuals I met and shared that day with that will stick with me far longer. It is they who deserve my voice and my gratitude. And to them I am forever grateful. Finally, a big thank you to Matt Gunn and Ultra-Adventures. What a massively awesome race. Thank you so much. And to Gnarly Nutrition for making the best products ever. I’m so pleased to be associated with them. you pulled yourself out of the report and left only your perceptions…but you need to understand your race WAS inspiring. 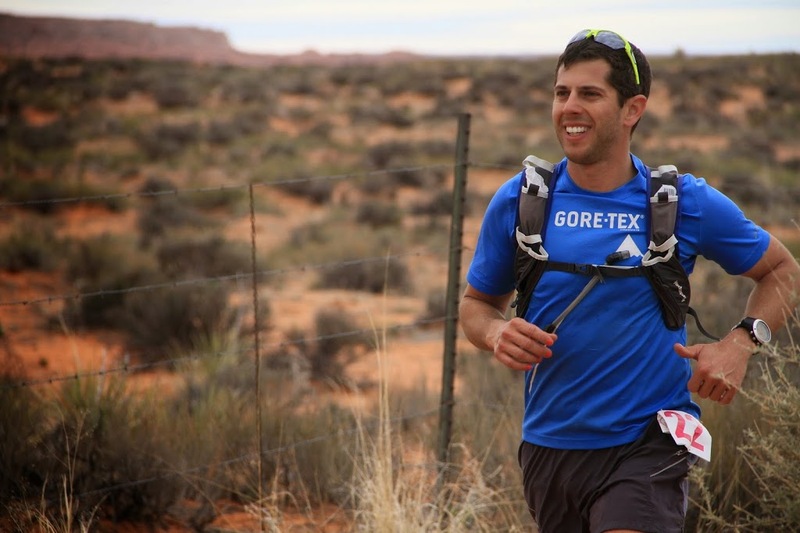 I was tracking you at every aid station, and knowing you were ahead of me killing it brought me a lot of happiness. your time (40mins behind the winner) on such a difficult course and with what you call “untrained” legs because of injury is incredible! good job, on both the race and report. Brother- I am always inspired to read your success and joy in your selflessness. I am proud to run with you and be your big brother. Well done dude- as always. The report was great and this is a race that I would love to set my sights on! What a great report. I’m so proud of all of my Wrangler friends who are the epitome of selflessness and kindness and strength. LOVE the video. So inspiring!! Loved the scenery. WMW are the best. Congrats to all of you.Craig you made me cry reading your report. I know… the usual.